In a flexible spending arrangement, or FSA, your employer deposits money from your paycheck into an account that can be used to pay for qualified medical expenses. A FSA account can save you money on your taxes because the money you contribute is not taxed. Many people have questions about how they can spend the money in their FSA account. 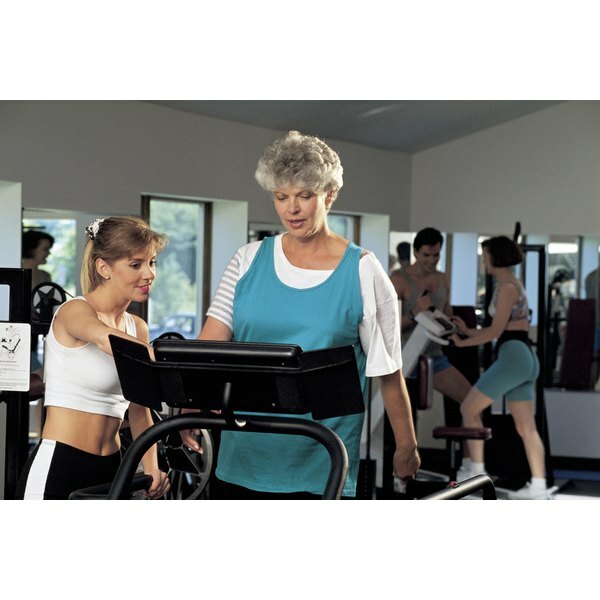 The money in your FSA account can be used to pay for several types of medical and dental expenses, but cannot be used to purchase a gym membership. Companies offer the option of participating in a flexible spending arrangement to their employees as part of a benefits package. The purpose of an FSA is to enable a person to reduce their taxes by contributing money from their paycheck to a fund that can be used to pay for medical expenses. Sometimes your employer may also contribute money to your FSA account. The money deposited into your FSA account is not taxed as long as you spend it on medical expenses that qualify according to the Internal Revenue Service. Employees usually enroll in a FSA plan when they are hired, and will have to select whether they wish to continue to participate in the FSA plan each year thereafter. Prior to the start of each new year, employees are asked to specify the amount that they would like to deposit in their FSA account. This often happens during the benefits open enrollment process, where you are allowed to make changes to your other benefits, like health or life insurance, for the following year. To figure out the amount that you wish to deposit in your FSA account, you should estimate the medical and dental costs for you, your spouse, and any dependent children for the upcoming year. FSA funds can only be spent on qualified medical expenses, which are determined by the IRS. In Publication 502 for 2010, the IRS states that qualified medical expenses are “costs of diagnosis, cure, mitigation, treatment, or prevention of disease, and the costs for treatments affecting any part or function of the body” . Some common qualified medical expenses include insurance premiums, transportation costs related to medical care, prescription medications, nursing home care, and the costs of visiting a hospital, doctor, or dentist. Funds in an FSA account cannot be used for expenses that benefit your overall health or well-being, like vitamins or a vacation. In general, you cannot use funds in an FSA account to pay for a gym membership. If your doctor has diagnosed you with condition related to your weight, like obesity, and recommends a weight loss program, you can use FSA funds for weight loss services at a gym, but only if they are billed separately from the gym membership. Internal Revenue Service: Publication 969 (2010) Health Savings Accounts and Other Tax-Favored Health Plans. Internal Revenue Service: Publication 502: Medical and Dental Expenses. Residing in Tampa, Florida, Dr. Kristen Wells is a health psychologist who conducts research to improve health behavior, quality of life and access to medical care. Since 2000, she has authored articles in medical journals such as "Health Psychology"and "Cancer." Dr. Wells holds a Ph.D. in clinical psychology from University of South Florida and a Master of Public Health from Emory University.